When we are installing a new roof on your Charlotte home, you will want to take special care to pick out roofing materials that are right for you. One factor that may contribute to your choice is the environmental impact of each potential material. Depending on the design of your home, your preferred aesthetic, and your budget, you have several different options when it comes to roofing materials. 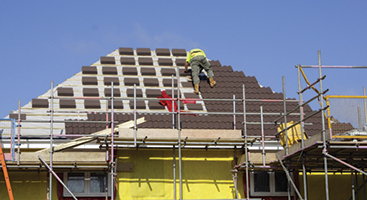 In this blog, we will go over some of the best eco-friendly roofing materials. 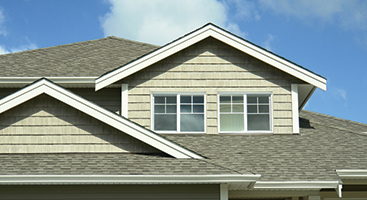 A roof made of materials that are white or light-colored is considered a cool roof. Because light colors reflect the sun, it creates a cooling effect by repelling solar heat. Because of this, less energy is needed to cool the home during the summer, reducing energy bills and the negative impact on the environment. When it comes to eco-friendly roofing materials, metal roofs are a great option. Metal roofs are durable, light-reflectant, and completely recyclable. You can make your metal roof even more environmentally friendly by choosing one that was made of recycled materials, as well as a roof that is white or a light color. With a lifespan of about 50 years, metal is one of the longest lasting roofing materials you can choose. It is also great for gardeners who wish to collect rainwater, an extremely environmentally friendly watering method. If you like the classic aesthetic of wood shingles, you can get an eco-friendly option. Just make sure that your shingles are made from sustainable wood shake from a well-managed forest. Corrugated roofing is not only good for the environment, it is also economical for the homeowner. This durable type of roofing can withstand inclement weather, and with the advancement of technology, manufacturers now offer this type of roofing in a variety of different styles and colors, making it a versatile roofing option as well. Corrugated roofing is lightweight, durable, and very easy to repair, making it a cost-effective solution for homeowners. Slate and clay tiles have both been used for roofing for centuries, and if you invest in reclaimed tiles, they are incredibly environmentally friendly. This type of roofing is most popular among homes with a Spanish architectural design, which are nicely complemented in particular by red clay tiles. They are natural and among the most durable of roofing materials; they can last 100 years with proper maintenance. There are even white or light-colored tiles now available on the market in order to incorporate the benefits of cool roofs. Most shingles today are made of recycled materials, such as rubber, plastic, or wood. This is one of the greenest roofing materials available. While slate tiles are quite expensive, recycled shingles are an affordable and eco-friendly roofing material for homeowners. With an estimated lifespan of more than 50 years, recycled shingles are a long-lasting roofing option. Because they are made of recycled materials, it reduces waste and the need to process new materials. This leads to a reduction in energy wasted with production, and reduces pollution. It should come as no surprise that a green roof is, well, green, in the sense that it is not only green from being covered in vegetation, but it is also eco-friendly. More and more people are opting to cover their roofs in plants. This is environmentally friendly because it cleanses the air, moderates the solar heat effect on your home, and reduces rainwater runoff. Not only that, it is beautiful! Another roofing material that can benefit your home and the environment is rubber. These tiles are often manufactured from old tiles, and then coated with slate to give it a more aesthetically pleasing texture. It is a durable roofing material, with a maximum lifespan of 50 years, and comes in a variety of colors so you can customize it to your liking. Because it is both recycled and made of a durable material, these types of roofs are eco-friendly. 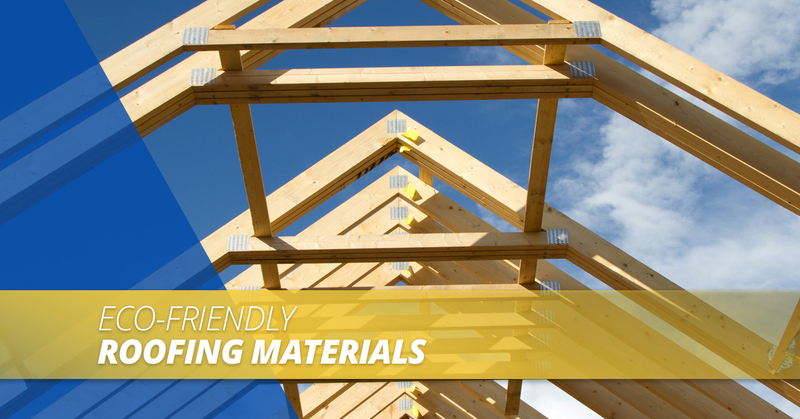 These are just some of the materials you can use for your home to make it greener. 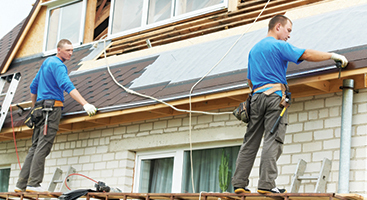 If you are looking for roof installation or repair in Charlotte, contact Ace Roofing. We can help you figure out which eco-friendly roofing material is right for you, and expertly install it in an effective and efficient manner. Contact us today for a free quote!